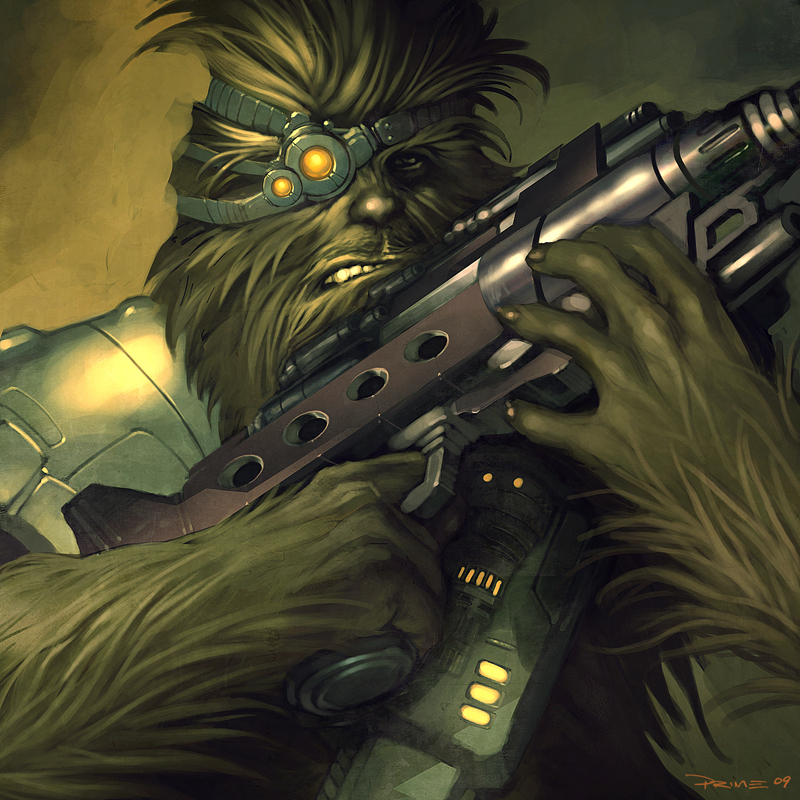 The forest world of Kashyyyk is home to Silver Rest, the temple of the Silver Jedi. The Order of the Silver Jedi is a steadfast beacon of light in a galaxy full of ever-growing darkness. They are Jedi, healers, protectors, and much more. Together, the members of the Order form a unique community, where all are encouraged to better themselves and the galaxy. The paths from which to choose are many, each with a valuable place within the Order. JEDI: The Order is quite well-known for their force-users, and they offer the opportunity for Jedi to learn and grow. We hold force training classes, lightsaber instruction, and offer missions to help our members gain experience. You can join a padawan clan if you'd like, a great place to form bonds of friendship and camaraderie. MILITARY/SPACEY: The Antarian Rangers (military defense) and Silver Spacey (fleet) keep our worlds safe. The Rangers help to train local forces on our worlds to help bolster their security, and special units are available for missions. The Spacey patrols our borders and is there to help in the event of an attack on our worlds or that of our allies. HUMANITARIAN: The Silver Services Corp is our aid group, they act as disaster relief and provide assistance with basic necessities, medical care, and rebuilding. Within the SSC is the Silver Circle, a group of healers and medical professionals that are dedicated to the caring for those in need. SCIENCE & RESEARCH: Our division of scientists and engineers are always working to improve our armor, technologies, ships, and more! Join up with the Pathfinders and get ready to explore new worlds! ...The force calls, will you answer? 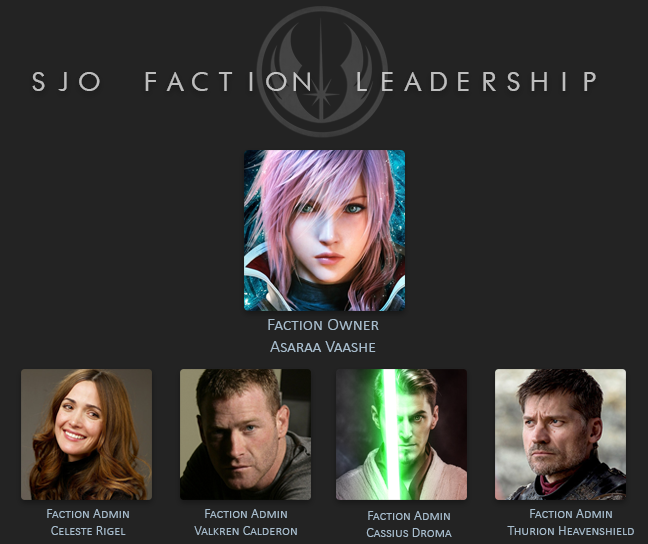 Come join one of the longest standing Jedi factions and write your story! So, we've been lucky to have some amazing new writers join us in the last month, so a big SJO welcome to @Holli Harper, @Seth Brackson, @Lucius Alexandros, @3X744. And the grand prize goes to...drumm roll please. The SJO! It's been a rough month and a bit for the SJO, with the site issues but you've all risen to that amazingly and just went on to reinforce what makes the faction so great. So in the start of a new year the only possible answer to who could be member of the month was all of you. So, I’ve been staring at a blank page wondering what to write for a while now, so I guess I’ll start with the basics. Hi. Pretty basic right. For those of you who don’t know me, or even those of you who do, I’m Asaraa Vaashe, and for my sins or maybe for yours, I’m your new Faction Owner. In the last two weeks, I’ve had a lot of people, from both within the faction and outside of it, come up to me, tell me about the power and the great things a faction owner can do. They’re not wrong, the faction owner of a major faction has the ability to touch the board and Chaos history, but, and here’s the big one, only if their writers let them. See, I don’t see a Faction Owner as being a sole source of power, of unquestionable authority in the faction. I have only as much power as you, the writers of the Silver Jedi Order give me, the ultimate arbiters of authority, the true guides of the direction of this faction is now, and has always been yourselves, the amazing group of writers who’ve gathered together to tell the Story of the Jedi Order. It is with a heavy heart I make the, quite simply, obvious choice for the good of this wonderful Faction. I'm going to stand down as Faction Owner with immediate effect. Since my LOA in May and my return in October, it's fair to say life hit me where it hurts, and since then I've fallen off the page with Chaos, and the Silver Jedi. I missed near six months of stories, welcoming new writers, supporting old ones and generally being here for you. I am so sorry, because I do feel I let you down and in turn, the Faction. Upon my return I have tried to get back into things, but have failed and there's no use kidding myself thinking I will be able to. Maybe in a few months, a year? Who knows. I'm not the writer I once was, here nearly 8 hours a day, almost 7 days a week. Hopefully I will find that again, but for now I'm not fit to own a Faction. After discussions with your amazing staff who have been, well, AMAZING, during this and have literally kept the Faction alive - @Valae Heavenshield @Thurion Heavenshield and @Valkren Calderon - I am opening up nominations for a couple of days for those who want to be considered for Faction Owner. I for one have seen the respect they command from all the writers IC and OOC, and also their understanding of what makes a truly great, open Faction for all. Remember me? I'm the Faction Owner...c'mon, you remember, don't you? I had a rough 5 months and in turn left the site, but I am making my return and here to oversee the mighty Silver Jedi. However, if one thing has been made clear to me, it's that running a Faction is not down to a "Faction Owner". All the staff, in my eyes, are Faction Owners. They have take the Faction above and beyond what I'd hoped for, so my thanks to them all. So I'm happy to return for the 'New Member Shout-Out' and 'Member Of The Month'! And as I've been away for so long, I've missed so many new faces...so basically, since May 2018, all of you have joined up since then get my shout-out! Thank you for joining us, taking part, having fun, and being the best of the best! Now the chance to thank one member who has shown great passion and dedication over the years they have supported us. From astounding Faction / Codex creations, supporting new members and having more alts than you care to imagine keeping up with, there can be only one today. Before it gets too late in the month again and I get too embarrassed to post this, let's announce the SJO's member of the month! Your dedication over the past couple of months, especially during the last Skirmish against the ME, has been noticed and greatly appreciated.